Protecting your heart is the hardest part of the game. Camille and Ethan are kindred spirits: busy professionals with no time for the demands of typical relationships. They devise an arrangement that suits her busy schedule and satisfies their lust for each other. When real feelings develop between them, can either one move past the rules of the game to take a chance on something just as exciting and even more risky? 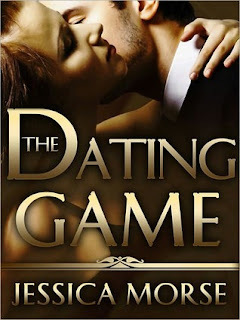 THE DATING GAME wasn't a bad book despite some of the complaints I had. In fact, I really liked it a lot. I didn't think I would though because the first 5 chapters were pretty average. Nothing "wow"ed me and I thought it might turn out to be a 2 or 3 star read. But chapter 6 and on was great and I'm glad I stuck with it. One thing is for certain, a strong suspension of disbelief is required. Almost everything that happens in this story is just way too convenient. Spelling mistakes such as this one just left me with a dumbfounded look on my face most of the time. Whoever the author hired to read her books before they go "live" needs to be fired. This is an example of just one of the many, many, many mistakes too. O_o All that aside, I truly enjoyed this novella and would happily read it again. Meh. It's pretty bland. At least the people are how I imagine the characters to look, sort of, which is always nice.